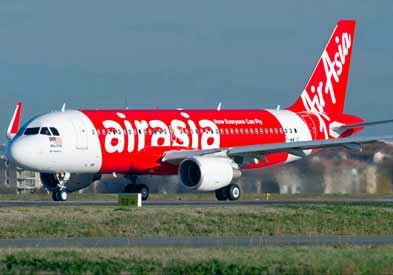 Bengaluru : The low cost carrier, AirAsia India, announce the exclusive 20% discount on all seats, which will be book from its mobile app. Download AirAsia’s award-winning mobile app and enjoy an exclusive 20% discount on all seats, all flights for travel between 4 January and 25 May 2017. Don’t forget to use the ‘MOBILE20’ promo code, valid until Sunday, 7 August 2016 to enjoy this mobile app exclusive promotion. The promo is applicable on all AirAsia and AirAsia X flights with flight codes i5 (AirAsia India), AK (AirAsia Malaysia), D7 (Malaysia AirAsia X), FD (AirAsia Thailand), XJ (Thai AirAsia X), QZ (AirAsia Indonesia) and PQ (AirAsia Philippines). “In addition to booking seats, our user-friendly mobile app enables flight status check, convenient check-in and the use of e-boarding pass at select International airports. It also comes with a full suite of services including Manage My Booking, where guests can include various add-ons to their bookings,” he added. The mobile app is available for iOS and Android devices in 11 languages including English.